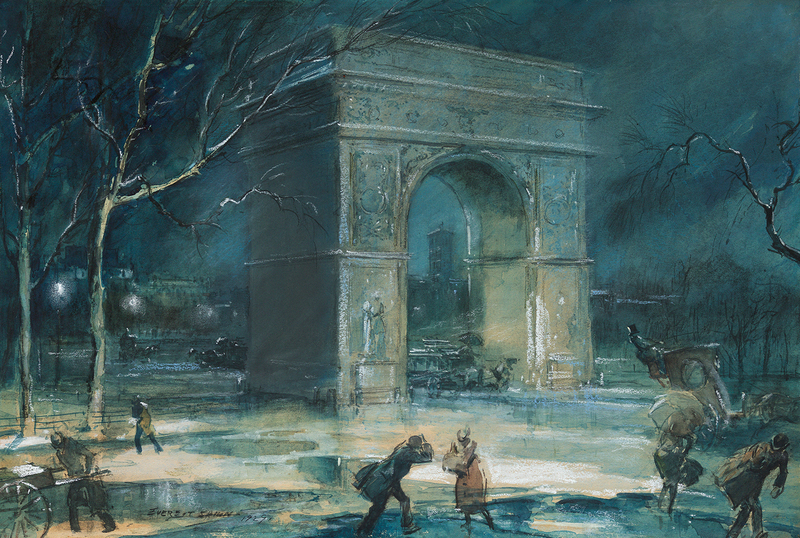 Everett Shinn was born in Woodstown, New Jersey. His art study was at the Pennsylvania Academy of Fine Art, where he studied with Thomas Anschutz. Finding work as an illustrator, Shinn worked for the Philadelphia Press and the New York Herald. His work is in the vein of the social realists of the early 20th century, often centered on poorer urban themes.